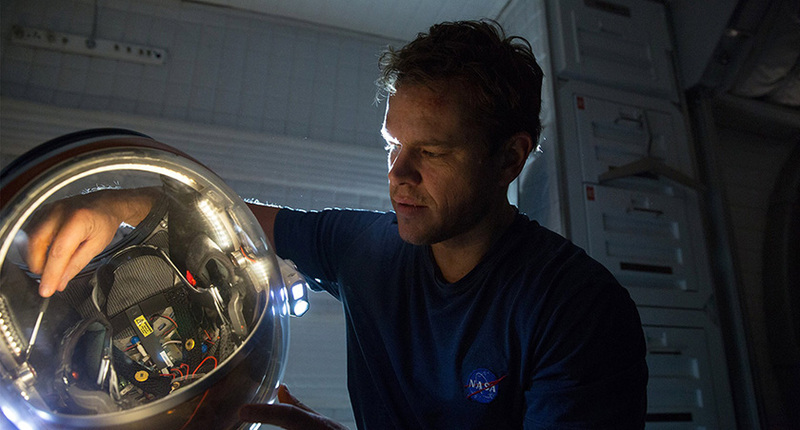 Based on the best-selling book of the same name by Andy Weir, The Martian had a lot to prove before it came out. 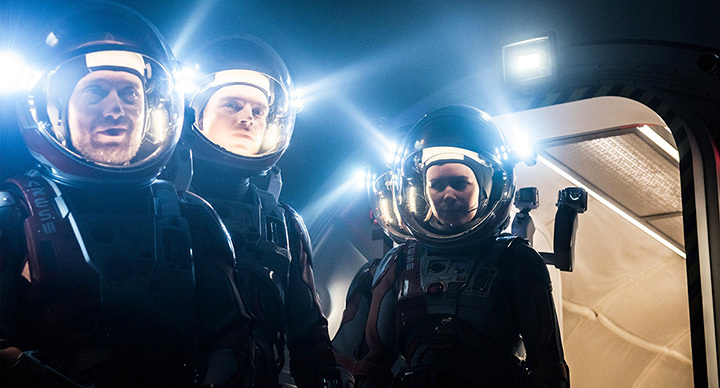 It had been a while since Ridley Scott directed a film that really impressed audiences. Prometheus was weak, with plotholes you could drive a fleet of lorries through, The Counsellor didn’t work despite an impressive cast and Exodus was watchable but mostly forgettable. 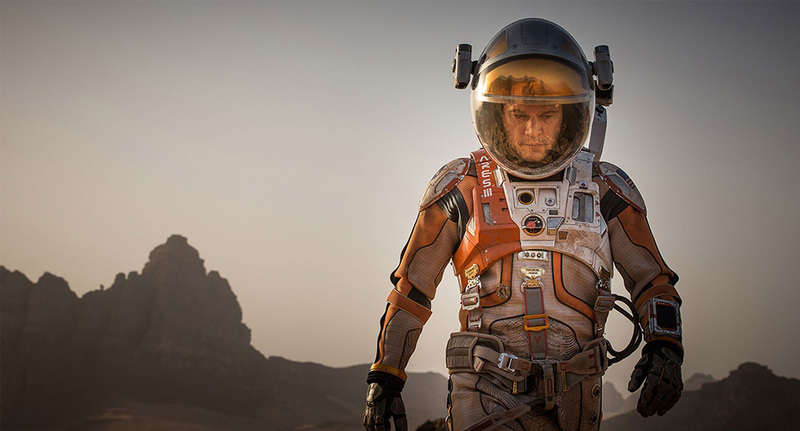 Scott has coasted on his past reputation but The Martian goes some way towards restoring that reputation. 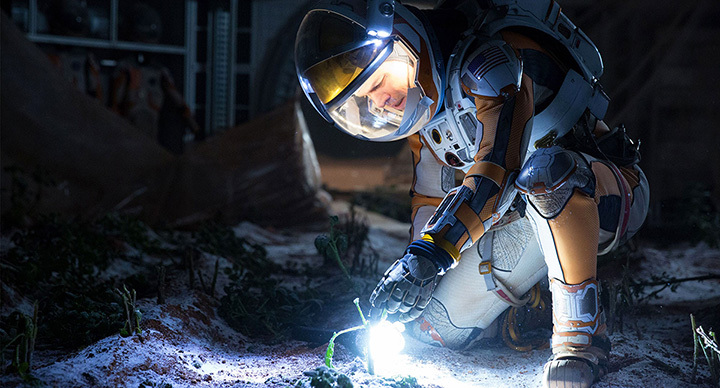 Matt Damon plays astronaut Mark Watney, who is left behind for dead on the surface of Mars and is forced to fend for himself while back on earth, NASA tie themselves into knots while deciding what to do once they discover that Watney didn’t perish. 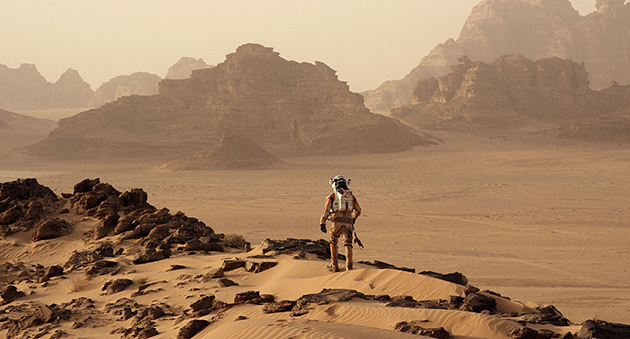 It is almost impossible for Ridley Scott to make a bad-looking film, partly down to his commercials background, but The Martian is one of the most beautiful-looking films in years. 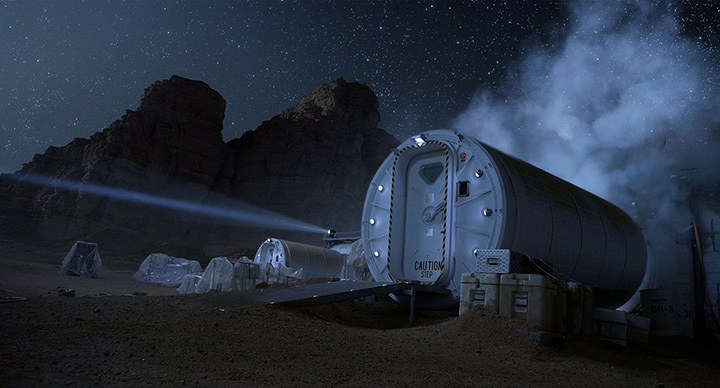 Kudos must go to Scott’s regular production designer Arthur Max but also to its cinematographer, Dariusz Wolski, who manage to make Mars beguiling and foreboding at the same time. 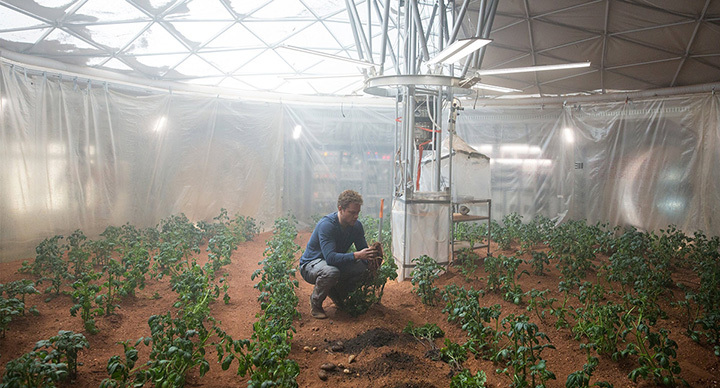 It’s not just the visual element here that connects with viewers too: Damon has always pulled off that likeable protagonist thing better than most of his contemporaries and here is no exception, Botanist Watney in the hands of Damon is a very human figure, a man who utilises his science to keep him going. The rest of the cast are very good too: Chastain as the head of the NASA Mars mission and Daniels in charge of NASA are excellent as is Chiwetel Ejiofor, who plays the head of the Mars missions at NASA. Yes it does feel a little corny in places and the end is what you would expect but Scott with the assistance of the cast and his crew has made the journey exciting, fascinating and emotional. 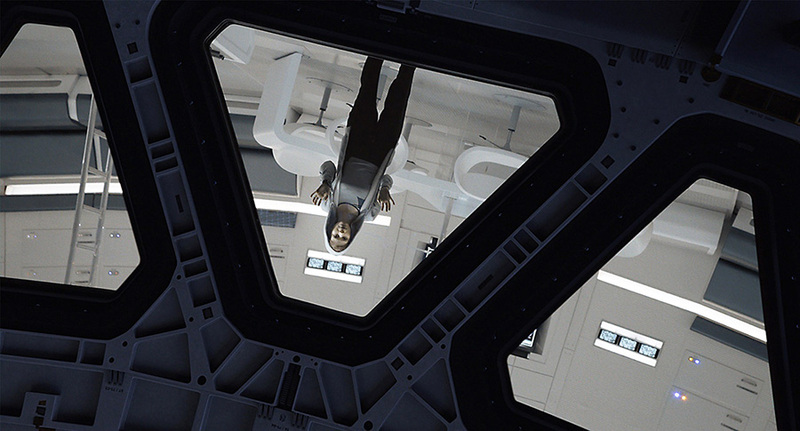 It is interesting to compare and contrast this with Christopher Nolan’s Interstellar, which shared two cast members (Chastain and Damon) with The Martian. 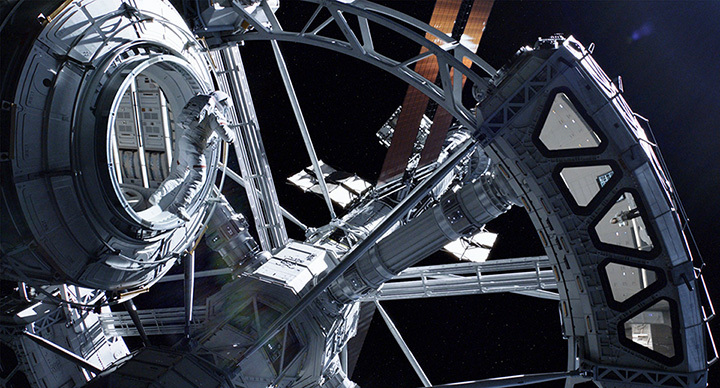 Interstellar was a beautiful but empty film which failed to connect with its audience whereas The Martian manages to be elegant, immersive and emotional, with a director who has squeezed the best out of his cast. The Martian is the best Ridley Scott film probably since Gladiator and certainly the best mainstream Hollywood sci fi film in years. See it on a big screen as it was made for the cinema.